Just witnessed the first mating of my leopards this afternoon. To be honest, I'm exited. While mating, they disappeared under the rock, surrounded by plants. What trigered it, I don't know! 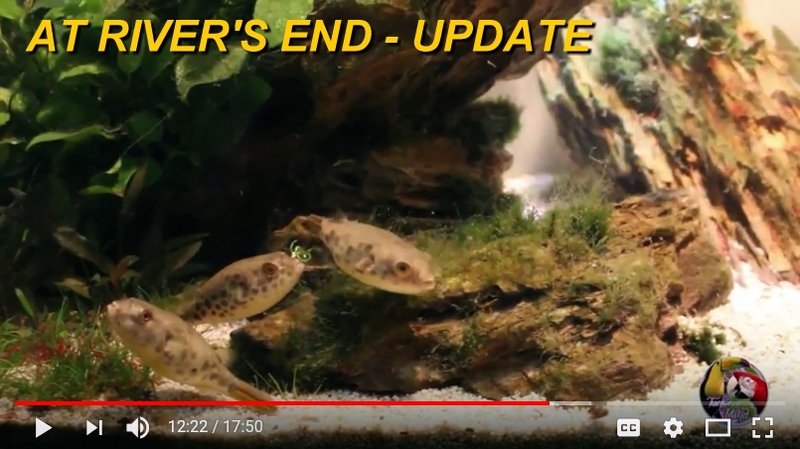 Last weekend I was away at an Aquascaping workshop with George Palmer (UK) organized by NADA (Nature Aquascaping Design Antwerp) in Belgium, so I only fed them last on Saturday and again on Monday. Normally I do water changes every day of 30-50% but didn't do so this week. The only thing other that was different this week that I overfed a bit on Monday & Tuesday with earthworms, more ramshorn snails and cut clam meet. Today they weren't fed yet. I have 4 and all are in the same tank. I'll try to keep posting some updates. You can see my setup by clicking the link (pic) below. Just uploaded a video of the mating. That's awesome! I'm surprised that even a gentle bite doesn't cause damage. You are going to be rich soon! Why Rich? I'm a hobby breeder, not in to it for the money. PX, do you know the cost of feeding these guys? I just hope to succeed in time and get a larger breeding group so they won't disappear again. If you breed your own snails then it's just the cost to keep them going. I feed my adults about 8-10 dime size apple/mystery snails every day and a net full of large Daphnia magna three times a week. They also munch on the cherry shrimp they are able to catch. I breed the snails in a 65 gallon with a 100 gallon sump. They eat two cans of green beans every day along with all my plant cuttings, duckweed and any left over veg from dinner. The juveniles are eating about 50 just hatched to week old apple snails ever morning and a few hundred Daphnia magna in the morning and night. they also eat any baby cherry shrimp they can catch. 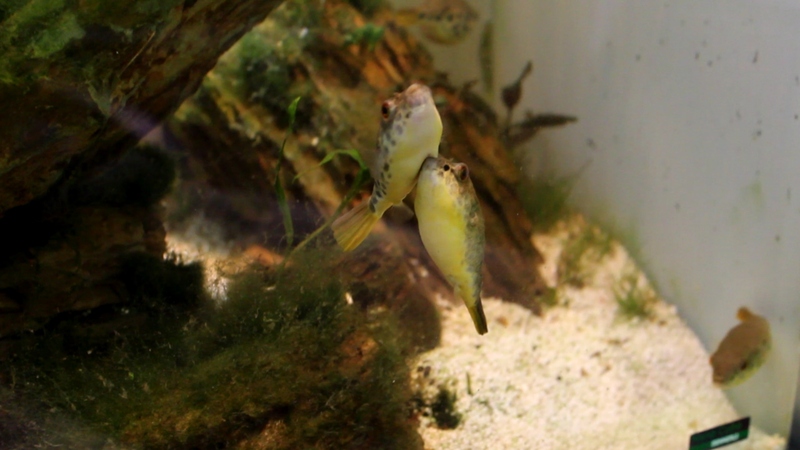 This is awesome that the schoutedni puffer is now being breed in captivity! More sustainable for their nature ecosystem and better for hobbyist who hopefully can get puffers without the heath issues that offend come with wild caught fish. Hopefully they become more available and accessible!